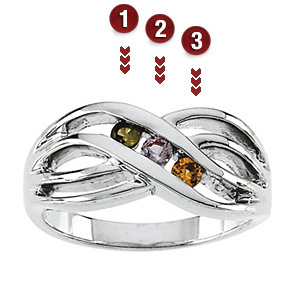 The sterling silver Sloping Twist mother's ring features three simulated 2.5mm round gemstones of your choice. Channel set stones. Import.